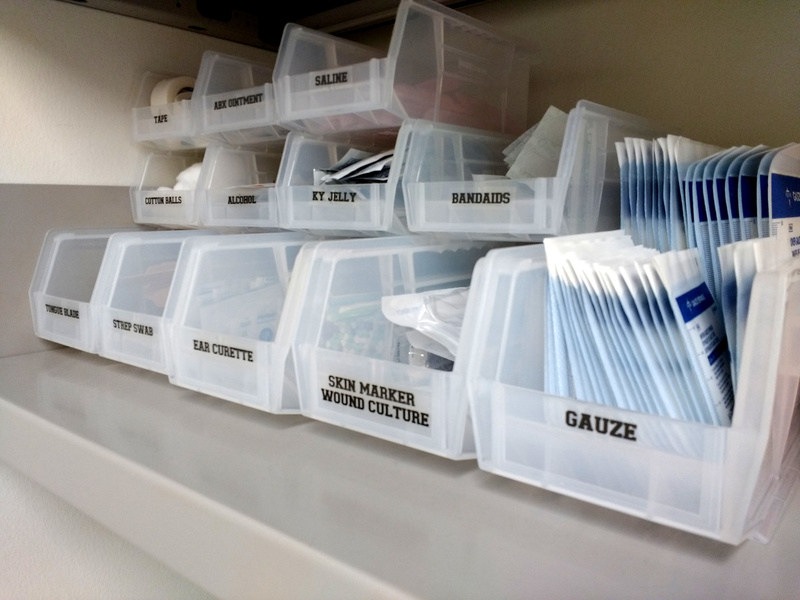 Free high resolution photo of a shelf containing a variety of medical supplies. This picture was taken in a patient examination room at a doctor’s office. The image shows stacked containers with a variety of first aid supplies including gauze, bandages, saline, etc. Free image for any use.